All real estate investors around the world opt to invest in Dubai property market due to the extremely lucrative opportunities it offers like the displayed properties for sale in Dubai Marina. 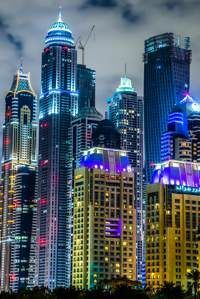 Dubai Marina is a fancy district in Dubai state that extends on an artificial water canal stretching over 3 kilometers. The district is situated in a close proximity to many the emirate popular getaways and amenities. It also lies near Dubai Internet City, Dubai Media City, and the American University in Dubai. The whole project was developed by the renowned Dubai-based real estate investment company Emaar and designed by HOK Canada. Just Property offers a large variety of featured properties for sale in Dubai Marina which vary in size, type, price, standard, and location. 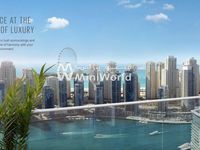 The properties are scattered around the fancy residential towers of Dubai Marina and most of them offer nice views of the water canal, the city, or the sea. Investors can find between the displayed properties penthouses that sprawl over large spaces, apartments including furnished and unfurnished units and varying in size between one-bedroom, two-bedroom, and three-bedroom apartments. Moreover, they also can find studios suitable for providing luxury residence in the emirate of Dubai, in addition to fancy offices. Dubai Marina has many sub-locations and real estate projects where finding properties for sale is very easy, especially through Just Property lists. Projects like Ocean Heights, Lake Tower, 23 Marina, Elite Residence are part of Dubai Marina locality. If you find the property you’ve been looking for, call our number to get one of our sales agents to help you. You can also send us an email inquiring about the property’s details. It has never been easier, just call us and we will get it sorted out for you. 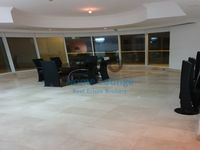 Purchasing a property in Dubai Marina is definitely a fruitful decision in two ways. First, the property will offer high rental revenue since demand on residence in Dubai is robust thanks to the growing business activity in the emirate. 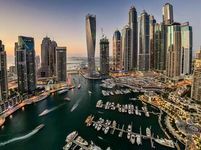 Moreover, the property’s investment value will appreciate by time since the displayed properties for sale in Dubai Marina are highly demandable by investments. Properties’ value in Dubai increase by around 10% to 12% per year, which is a perfect rate when compared with other surrounding markets. Growth rate differs from one property to another according to many specifications including location, property type, and market situation.